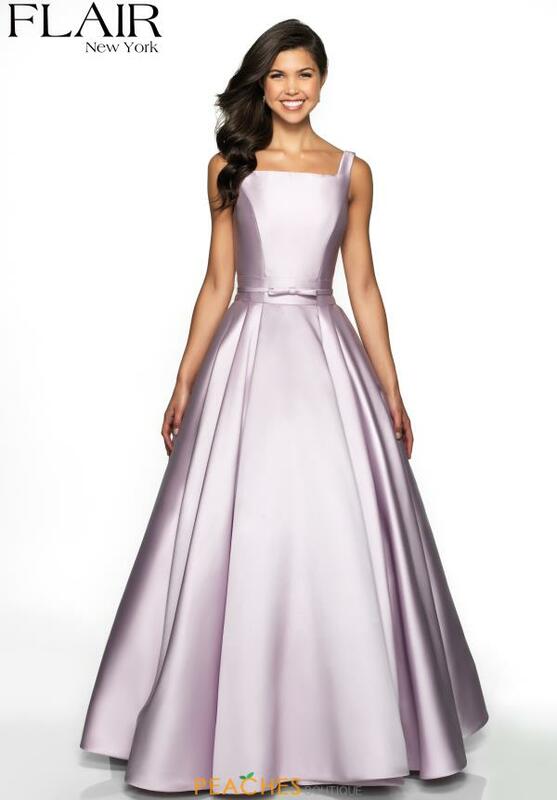 Modest and classic, this ultra chic prom dress 19018 is phenomenal choice perfect for any social occasion. Showcasing an edgy square high neckline, a thin belt with a lovely bow detailing accentuates the waistline for a flattering silhouette. Made in a lavish mikado fabric, the a line skirt highlights playful side pockets that add a charming and charismatic factor.